c. Did I mention that Stevens is a musical genius? It turned out to be a spiritually significant move for me. As I intentionally created space, embraced a disciplined rhythm to reflect on the season through the classic hymns and original compositions by Stevens, I found myself drawn into a more worshipful awareness of the miracle of Christmas. I found myself longing for Emmanuel to come, to “ransom captive Israel”, and excited about the herald of the angels, proclaiming the birth of the Savior. When Christmas finally came around, I felt ready to welcome it; the month-long, discipline had prepared me. 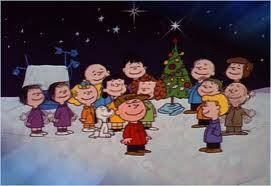 For the first time, I began to see some of the spiritual value of Christmas music. This year, I’d encourage you do something similar. It’s so easy for the rush, the bustle, the technological hustle of life to keep us so busy we’re unable to reflect on what we’re celebrating: the birth of the Godman, grace incarnate, the reunion of God and humanity in one person. The mystery and the wonder of Christmas isn’t something to scramble past, or merely survive, but rather is something to be entered in, treasured, and cultivated. If that’s not enough of an endorsement for you, I don’t know what else to say. 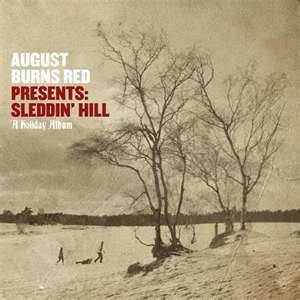 August Burns Red “Sleddin Hill; A Holiday Album” Now, I understand that many of you might like a little more testosterone around the holidays. Being a semi-metal-head myself, I know I have. In the past I’ve mostly found awesome one-song pieces of genius like Becoming the Archetype’s “O Holy Night.” This year another one of my favorite metal acts, August Burns Red, decided to save the day and put out a full album of Christmas music. 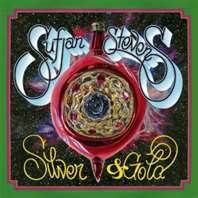 So maybe this isn’t the most reverent or meditative Christmas album you’ll find this year, but with furiously festive renditions of classics like “O Come, O Come Emmanuel” and “Carol of the Bells” this album doesn’t disappoint Christmas-loving metal-heads. The point is, whether you celebrate in a hipster key, or a metal one, or maybe just some old-fashioned melodies, be sure to include some Christmas music in your life this year–it just might save your Christmas. Loved this post. Over the years I do something very similar to what you describe. I’m going to need to check out these recommendations as well. Thanks for checking out my blog. I’m glad you did so I could see some of your work here. Well, I really did enjoy the piece. It’s something I’ll probably write about in the future, but it’s so necessary for it to be said over and over again. You had me clicking my fingers at “the rush, the bustle, the technological hustle”! For some reason, Gregorian Chants and oldies (hymns) do it for me during Thanksgiving/Christmas, evoking holidays of past, as well as deep devotion and uncluttered reception of spiritual enlightenment and enjoyment of the season. Another “off the charts” blog(sorry), Derek!